Our Services | Conference Services, U.Va. If you are planning an event with many moving parts, Conferences@UVA is a great place to find and obtain the services you require. Our team specializes in facilitating academic conferences, multi-day meetings, summer camps and special programs. We offer logistical planning and on-site coordination, and can advise you regarding access to spaces and services that are available through the University. 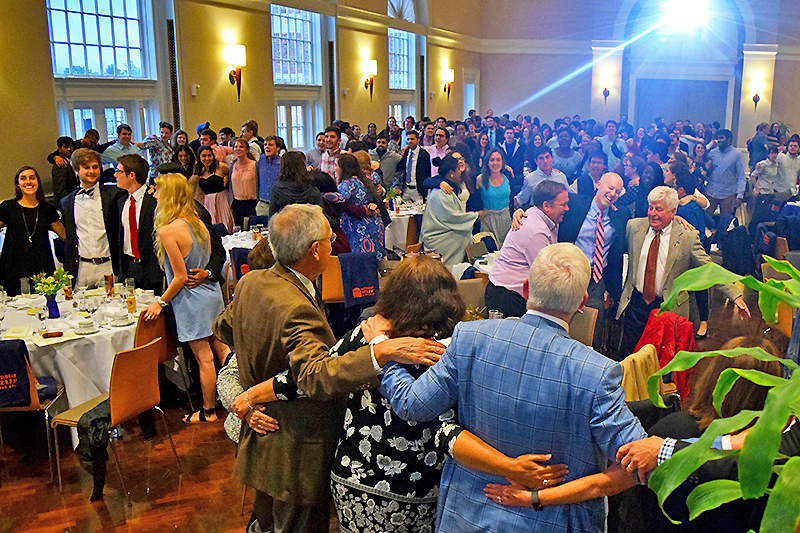 Conferences@UVA can be your single point of contact for planning and executing a variety of events. The services we provide can be tailored to your needs. Conferences@UVA charges a planning fee that is based on the scope of your event and services provided. For more information, please contact us or submit our planning request form. We also suggest that you review our As You Start Planning section to consider details that will impact your on-Grounds event.